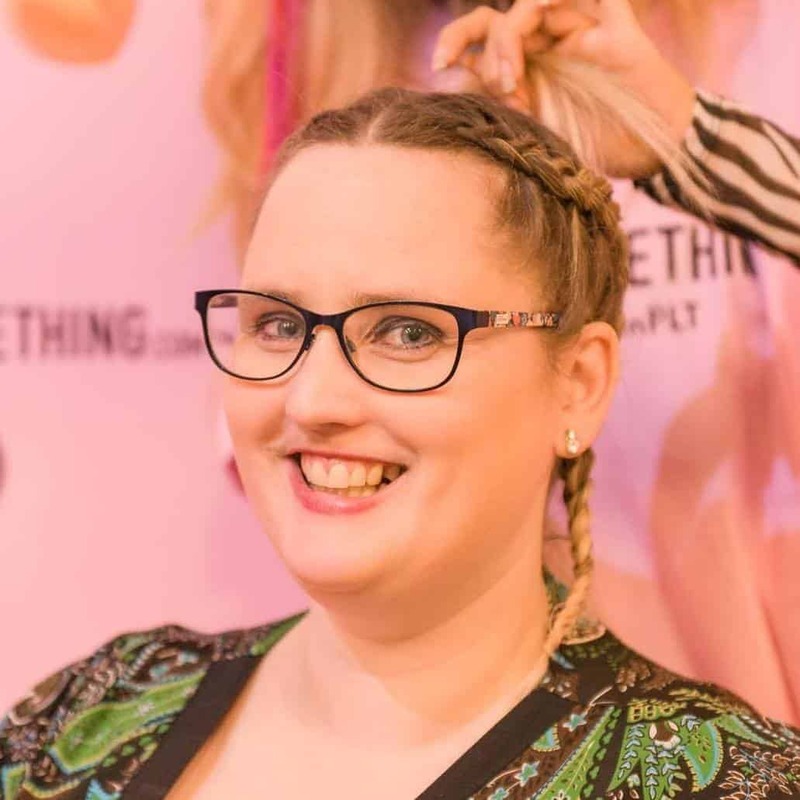 Today we have a fantastic tutorial to share. 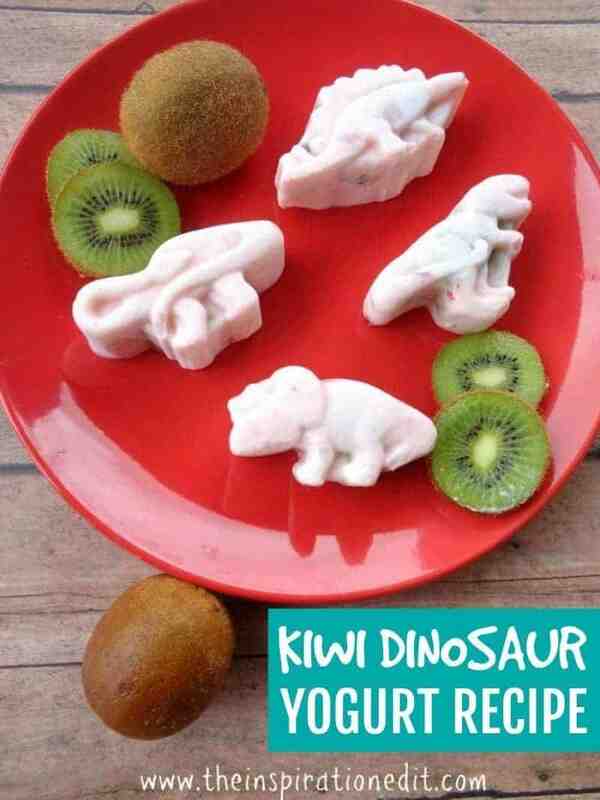 We have frozen strawberry Kiwi Yogurt Dinosaurs. 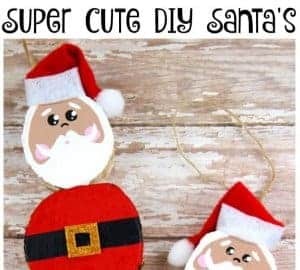 This is a fantastic treat and would be fun to make with the kids or for the kids. We love Dinosaurs and enjoy learning about them. 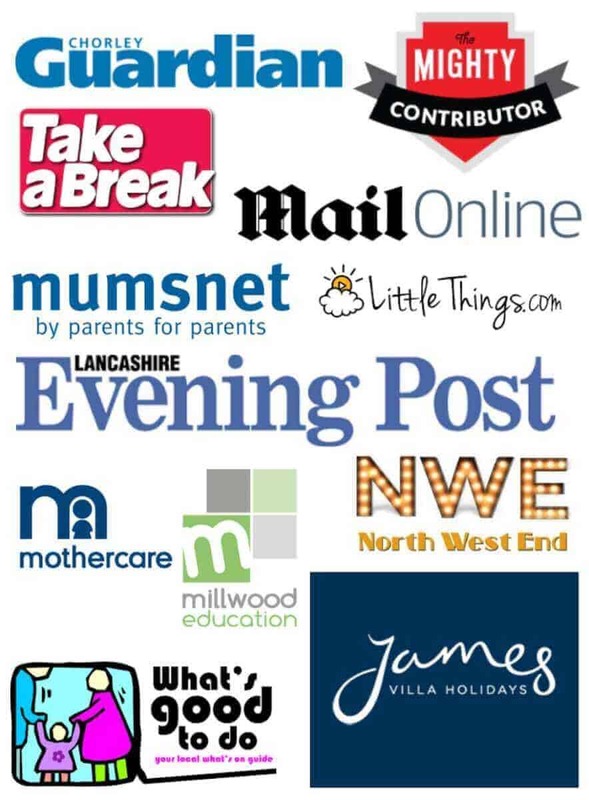 Whether it’s a visit to the natural history museum or reading a book full of fun facts, this is sure to help extend your child’s interest in Dinosaurs and make learning and food fun. 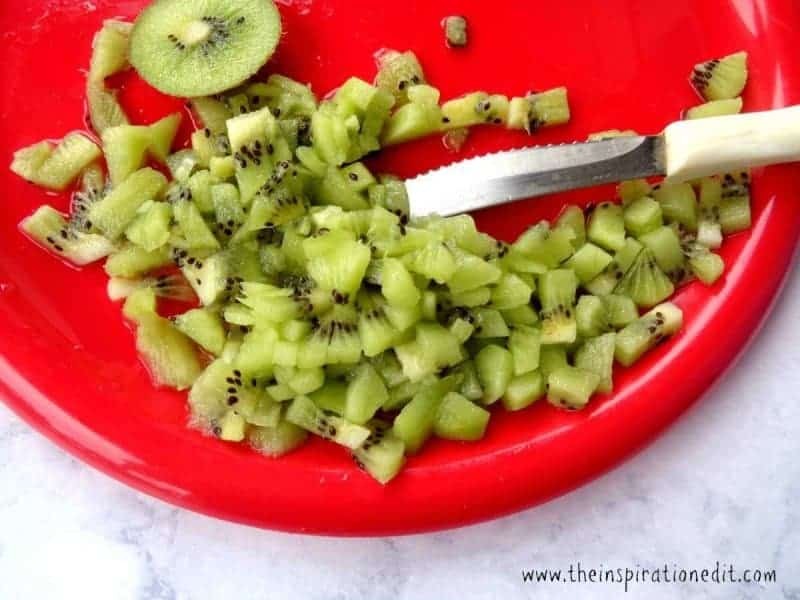 After gathering all of your ingredients, you will first cut the fuzzy skin off of your kiwis. Dice the kiwis very small. Refer to photo. 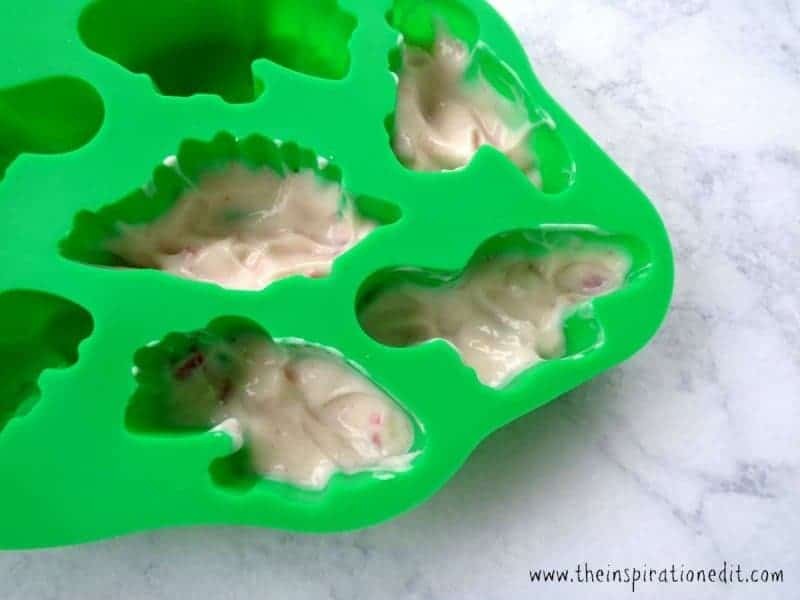 Add a layer of yogurt to your silicone moulds. 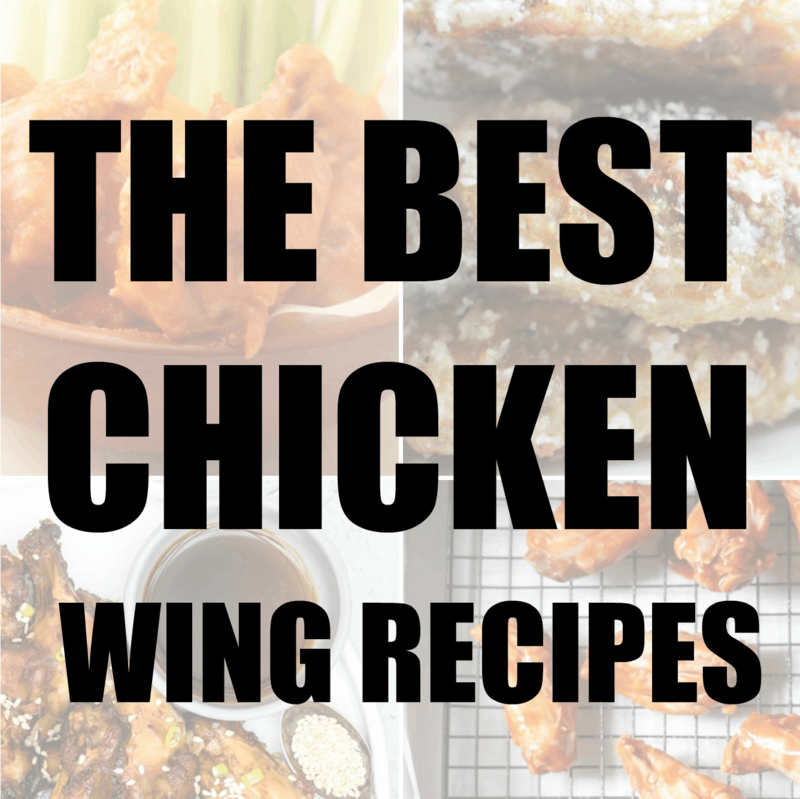 Do not add any oil or non-stick sprays. Silicone moulds do not need it. Add a heaping tablespoon of diced kiwi fruit. 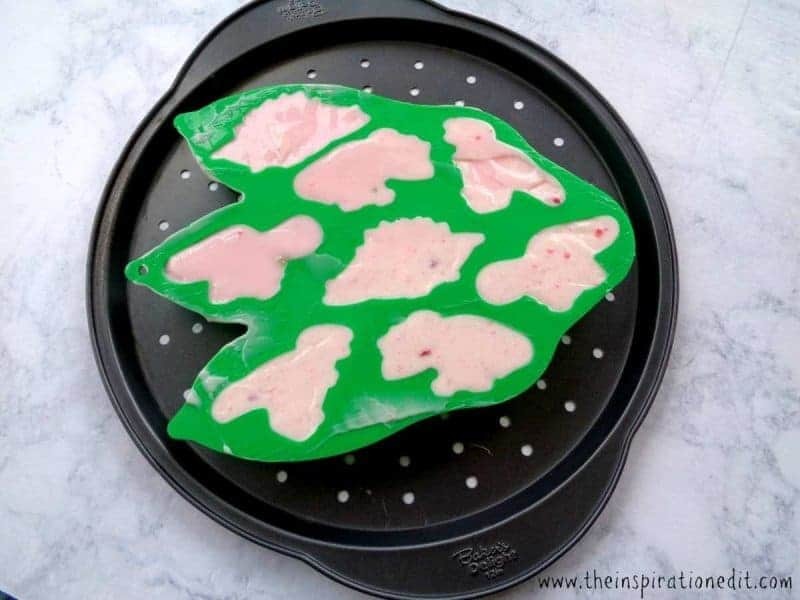 Fill the remainder of the mould with strawberry yogurt. Use the back of a butter knife to scrape across the top of the mold to remove any excess yogurt. Freeze the yogurt treats for at least 3 hours. 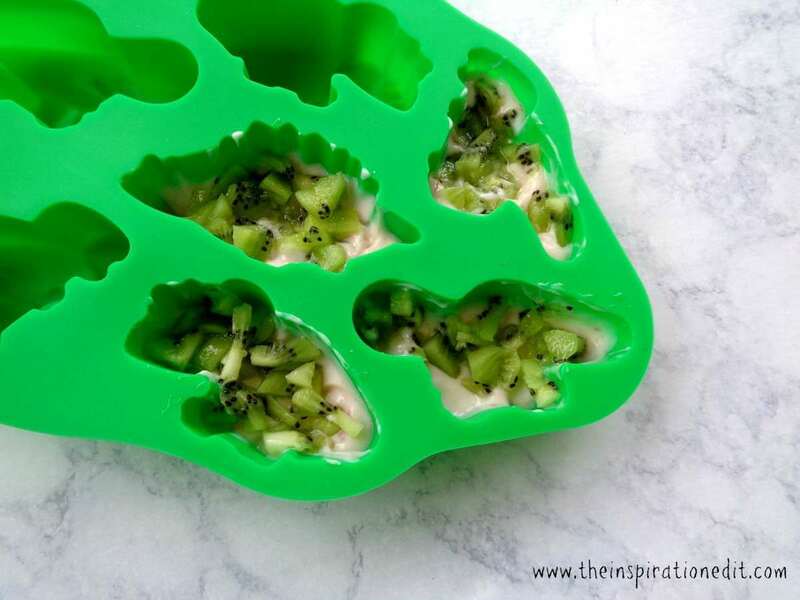 Simply pop your yogurt treats from the silicone mould and enjoy! This is a delicious treat for when the weather gets warmer. I know I will be making a lot of these once summer comes around. I love that I can also use whatever fruit available! My grandson Zaine is very into dinosaurs finally at age 4. I say finally because his mom has wanted to decorate with dinosaurs for the past two years. He would thrill over these and it would help that he loves both strawberries and kiwi. My grandsons will love these. Just two days ago we went to the Dinosaur Valley State Park in Texas for our President’s Day outing. Like all little boys, they love dinosaurs! Those sure are fun! 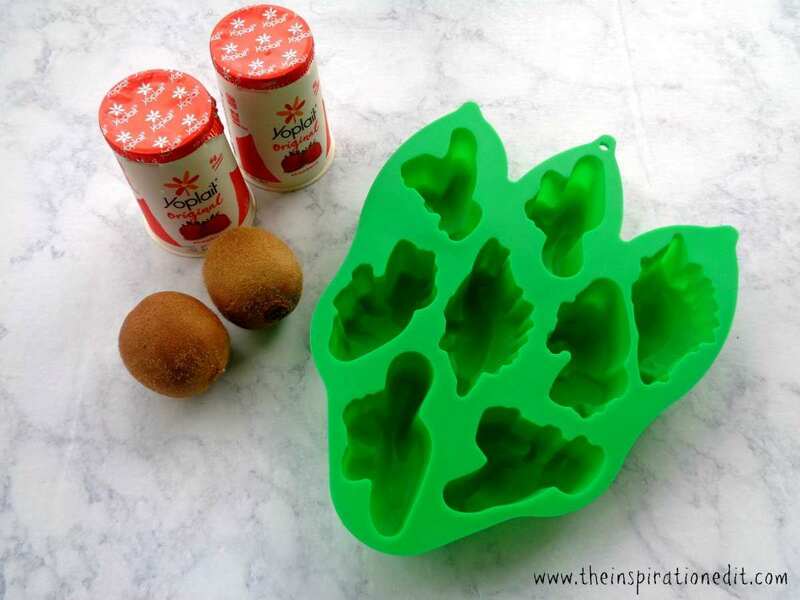 Gives me a lot of great ideas to use our old silicone ice trays! I’ve always loved yogurt and this sounds like a great treat to make for the kids especially during the summer! It’s refreshing, packed with fruits and it’s healthy! There’s nothing more you can ask. 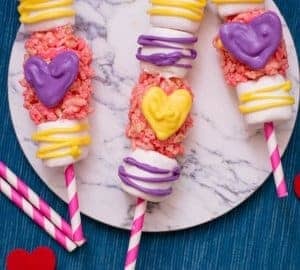 Love treats that are easy to make and healthy for the kids to munch on. I think this is a good summer treat too. It’s really nice that you picked dinosaurs, I definitely should look for molds like that for the boys! This is such a creative and sweet idea, this would be great in the summer for littles to enjoy and cool down with. This is nice. Unique fun idea too. Love it. Thanks for sharing this. 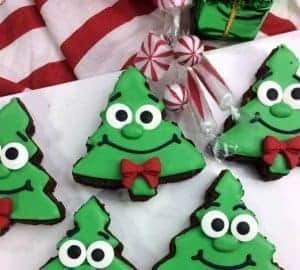 This is a really cute treat idea! Yogurt is one of my favorite snacks too. Loving these dinosaur snacks. What a fun way to get your kids to eat their fruit while thinking they are just enjoying a special treat. My daughter has that same mold but it’s cats. She would think this is fun if I made her cat yogurt!